Ginkgo Search Partners is a leading internationally operating executive search and leadership consulting firm. As part of our global network, our executive recruiters in Singapore are uniquely positioned to support our clients in their effort to distinguish their businesses through building the most talented and effective leadership teams across the South East Asian region. Our consultants are offering dedicated executive search and leadership advisory services to international organizations, seeking to attract and develop the highest quality of management talent. Singapore, sometimes referred to as the Lion City, is a sovereign city state in Southeast Asia. Singapore is a highly developed trade-oriented market economy. 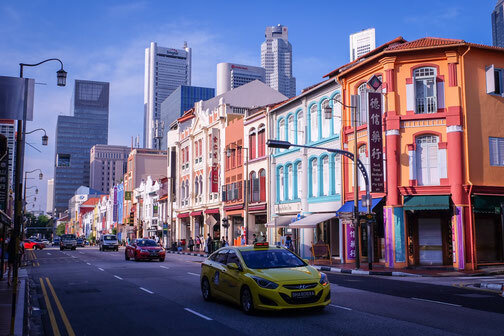 Exports, particularly in chemicals, electronics, and services including Singapore's position as the regional hub for banking and financial services provide the main source of revenue for the economy. Singapore is a major transportation hub in the region and acts as an important gateway to South East Asian markets. With our regional office based in Singapore we are able to offer our executive search services throughout South East Asia. Our office is able to conduct senior and top management searches for our client's regional headquarters or for executive appointments within the various country organizations in the region such as Vietnam, Malaysia, Thailand, and Indonesia. Our team of experienced executive search professionals in Singapore is able to attract the best executive talent for our clients and act as a trusted partner for your strategic business needs. Our executive search consultants in Singapore are providing top level recruitment services in the following industry practice groups. Contact our executive recruiters in Singapore! A society to be successful must maintain a balance between nurturing excellence and encouraging the average to improve.